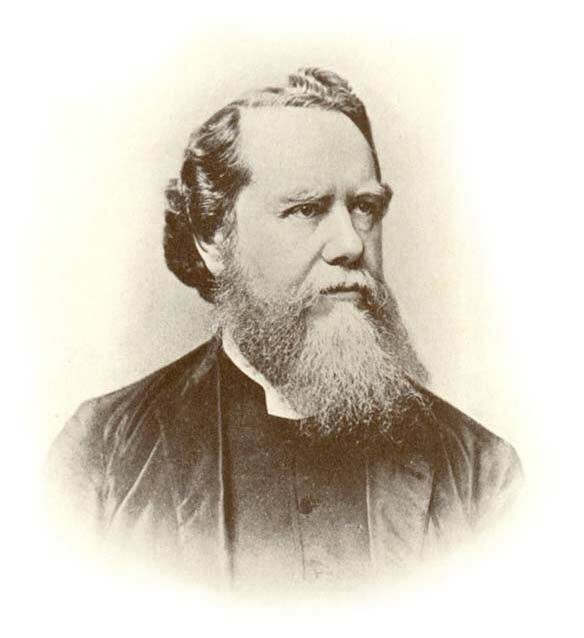 James Hudson Taylor was born on 21st May 1832, and was founder of the China Inland Mission (CIM), one of the largest Christian movements in the world. This organisation, which became the Overseas Missionary Fellowship in 1964, and which continues today as OMF International, was responsible for taking over 800 missionaries to China. Hudson Taylor spent his early years in Barnsley, the son of a pharmacist and lay preacher. He lost his faith for a time during his youth, but by 1849 had not only re-found his faith, but had also decided he would travel to China as a missionary. He began studying medicine in London in 1852, in preparation for his missionary work, but had not completed these studies before travelling to China for his first visit. He arrived in Shanghai in March 1854, amidst civil war, and spent the next few years travelling, preaching and bringing medical supplies to the people of China. He adopted the local dress, and wore his hair in the manner of the Chinese of that time, in order to overcome social barriers. In 1858 Hudson Taylor married Maria Jane Dyer. They returned to England in 1860. In 1865, James Hudson Taylor founded the CIM and the following year he, his wife, four children and 16 missionaries set sail for China. He lost his daughter Grace to meningitis in 1867, his baby son to malnutrition in 1870 and his first wife Maria to cholera only a few days later. After returning to England, Hudson Taylor was married to fellow missionary Jane Elizabeth Faulding, and they returned to China in 1872. Hudson Taylor would spend much of the rest of his life in China, suffering the hardships of a war-torn country, ill-health and persecution. He preached in several Chinese dialects and is widely regarded as the father of the Chinese Christian movement. After the death of his second wife in Switzerland in 1904, Hudson Taylor returned to China for the final time where he died on 3rd June 1905. He was buried beside his first wife Maria. On the 27th May 2011 the Barnsley Chronicle published an interview with David Lowe, a retired Pastor, who wanted to see a memorial established to honour James Hudson Taylor. The content of this article was supported by letters to the Chronicle over the following weeks, and on the 25th August 2011 the James Hudson Taylor Group held their inaugural meeting. The meeting was chaired by Mike Rossiter and attended by representatives from a variety of local churches and Christian denominations. Since that meeting, the group has continued to gather regularly, with John Foster MBE as chair, and has attracted attention from around the world. In May 2012 the Hudson Taylor Trail was officially opened, and today there are plaques around the Barnsley area marking 14 historical sites. In June of 2015, Jamie Taylor, descendant of James Hudson Taylor, toured the trail, delivering services in Chinese and English, and attending an informal meeting at Salem Chapel, Blucher Street. The Hudson Taylor Group is a cross-denominational group and offers a warm welcome to anybody wishing to become more involved with our on-going projects. We are also very happy to meet and assist people visiting and following the Barnsley JHT trail. Jamie Taylor, great, great, great great, great grandson of James Hudson Taylor, visited Barnsley from Monday the 22nd to Wednesday 24th June 2015. There were many events planned during those days, including a walk of the Hudson Taylor Trail, an open meeting with Jamie, and church services in both English and Chinese to be delivered by Jamie Taylor. Download the flyer here.For further details and the latest news, check out our Facebook page or follow us on Twitter. You can now find out our latest news by following us on Facebook or Twitter. As well as tweeting us or posting on our Facebook page, you can also email John Foster or contact him at the following address: Dr. John Foster MBE, 200 Spark Lane, Mapplewell, Barnsley, England, S75 6AF.